My little brother first introduced me to St. Ives' scrubs. He has been overseas for a number of years in areas that are not kind to on skin. So, he started using scrubs and face masks to maintain healthy skin and moisturize. One time, when he was home to visit we did face masks and he introduced me to St. Ives. Actually, long before the face mask story he had asked my father and I to mail him some of this stuff. Anyway one way or another, my brother introduced me to this product. I've always enjoyed using clean and clear products to prevent acne and clear out any unwanted goop from inside my pours. I still use it, but every few days or so I also use St. Ives. I highly recommend the product as a nice scrub to remove dead skin and to clean up. I do not recommend it as a daily scrub or stand alone product, however, my brother might say differently. I buy most of my household goods on Amazon, because I hate shopping. I have this on auto subscribe. If you are interested, you can purchase St. Ives for around $5-8 on Amazon. Please note: At the time of this review St. Ives has never sent me free products, paid me to write a review, or given me discount codes. If I'm sent freebies or money I will disclose it in my reviews. I do however receive a few pennies if you click on the images or links provided to help you find this product and purchase it on Amazon. I only get that money if you click the links and then make a purchase. It's not a lot of money and if you like this blog, I hope that doesn't put you off simply because it helps support this bloggers writing habits. Happy online shopping and enjoy your clean, fresh, scrubbed skin! 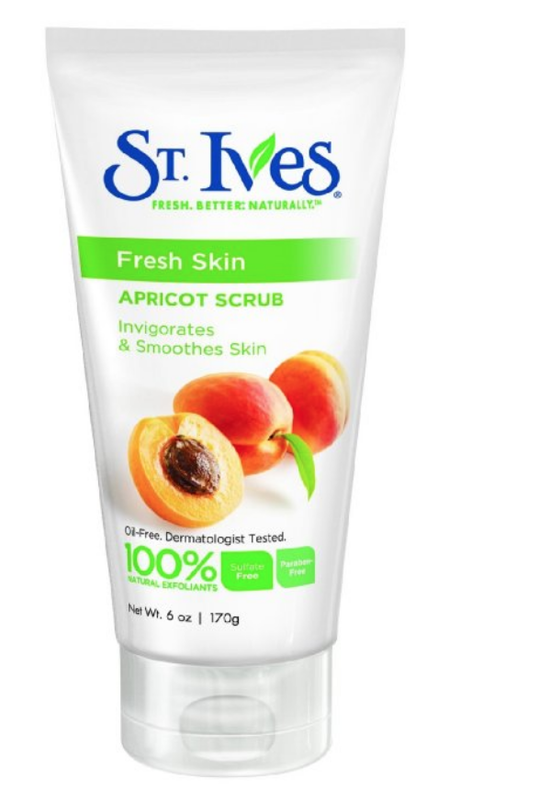 St. Ives Fresh Skin Apricot Scrub deep cleans to leave skin healthy and refreshed. This mild formula is 100 percent sulfate free, and contains natural ingredients that purify and exfoliate for a radiant complexion. 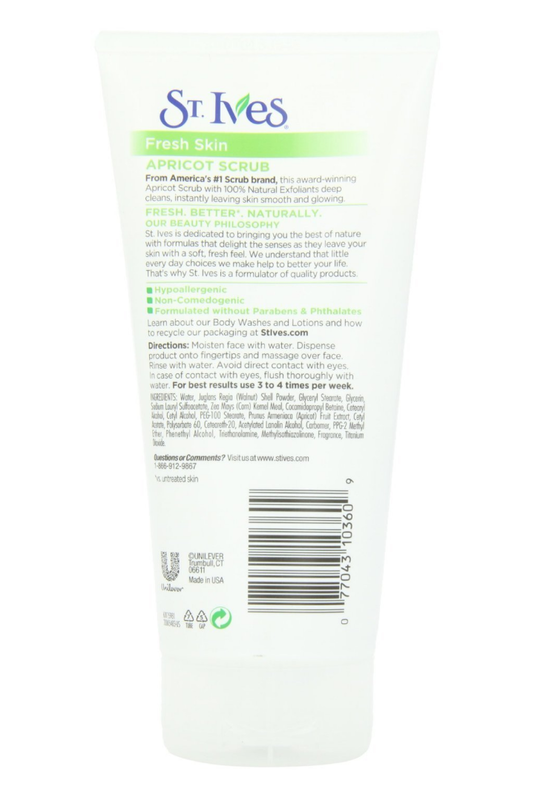 By gently removing excess dirt and oil, this scrub lets skin's natural radiance shine through. Apply to wet face, massage gently and rinse thoroughly (avoiding contact with eyes). If you experience irritation, use less frequently.